This photo has attracted my attention, even if I didn’t enjoy the movie much. 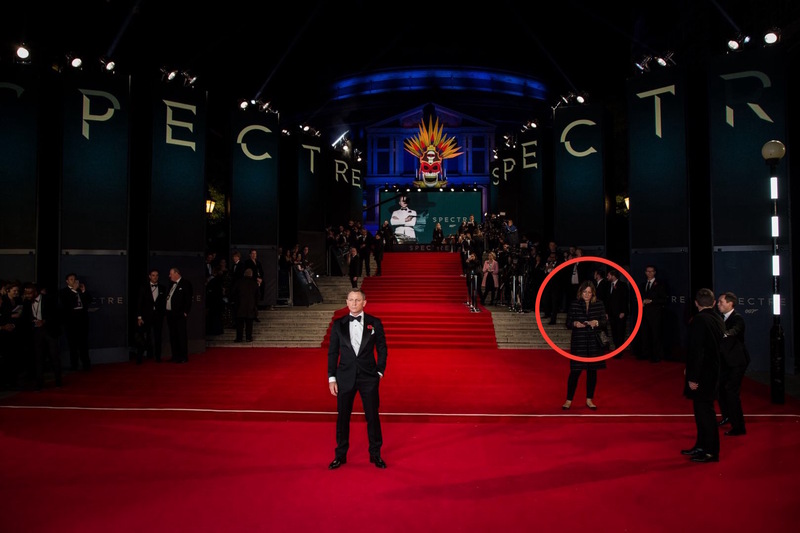 Wondering what the lady on the right of this picture (which is the left of James Bond) is doing? With all that’s happening at the London premiere of Spectre she is looking at her phone. She has Daniel Craig close to her and the best thing she does is, hmmm, see if there’s any new text waiting. She’s not writing a message. No, she’s just reading, probably. Unless she’s about to push the auto-destruction button. This entry was posted in images, media and tagged attention, images, media. Bookmark the permalink.